In 2014, Carrie Cutforth co-produced TO WebFest, a three day conference and screening festival, with Regan Latimer (who also served as Programming Director) for its inaugural year. Carrie also served at the Chief Financial Officer of the event. Check out WebVee Guide’s coverage above. For more coverage see the links below the gallery. After the enormous success of TO WebFest 2014, Regan and Carrie passed the baton to its new organizers Courtney Wolfson and Nicolas Di Lollo. TO WebFest is a community building initiative of the IWCC. Jeff chats with Regan Latimer & Carrie Cutforth-Young, Directors of the 2014 Toronto WebFest to be held May 9-11 for Episode 14 of WebVeeGuide. Among other things, they talk about their backgrounds, what led them to start a webfest and the community of creators in Toronto. WebVee Guide interviews Regan Latimer (Producer and Programming Director of TO WebFest) and myself for a TO WebFest post mortem. Vic & Rachel chat with Toronto WebFest organizers Regan Latimer and Carrie Cutforth about the web fest and the community of creators in attendance. 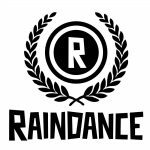 Both Regan Latimer and Carrie Cutforth got the nod for their hard work for TO WebFest 2014 in this Raindance roundup of webfests to hit. 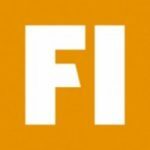 Simon ZsebÖk of Viewster Filmfest became a transmedia “true believer” during TO WebFest in this article. 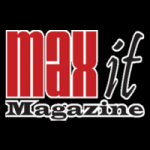 Digital maverick and modern day Renaissance man, Dominik Rausch sang Regan Latimer & Carrie Cutforth praises in this Max It Magazine review of TO WebFest. TO Webfest was included in Filmmaker Magazine’s The Essential Guide to WebFests on July 26th, 2013. Stream Daily covered Producers Talk Brand Integration at TO WebFest on May 12, 2014.